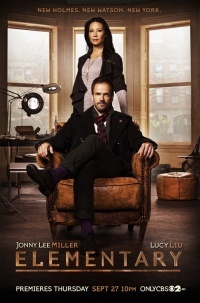 Elementary is an American TV series produced by Hill of Beans Productions and Timberman-Beverly Productions starring Jonny Lee Miller as Sherlock Holmes and Lucy Liu as Joan Watson. 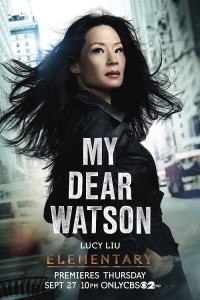 The series has 7 seasons totalizing 141 episodes of 45 minutes each. 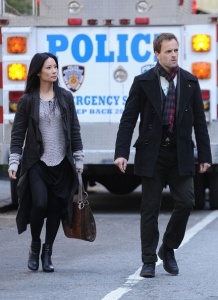 Aired on CBS between 27 september 2012 until now. 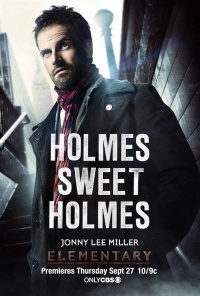 In this series, Sherlock Holmes is transposed in the contemporary New York. He was an english consultant for Scotland Yard in London but a drug addiction brought him in rehab in USA. He still helps the police but in New York now. 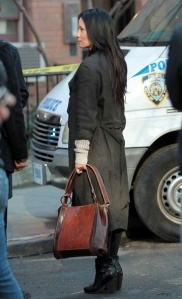 He lives in Brooklyn with Dr. Joan Watson who watch on him medically by order of Holmes' father. This page was last edited on 6 April 2019, at 18:27.